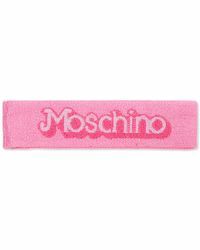 Founded in 1983, Moschino has become known for its playful, eccentric designs featuring witty, bold slogans and trompe l'oeil details. 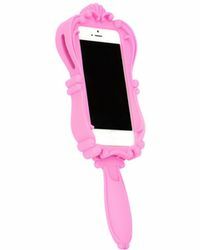 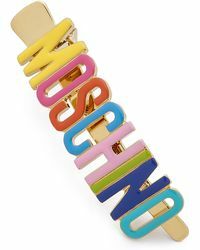 With the sentiment that 'fashion should be fun and send a message', the Italian fashion house, which is now under the creative directorship of Jeremy Scott stays true to this playful spirit, with tongue-in-cheek slogans, pop culture-inspired motifs and bold colour combinations. 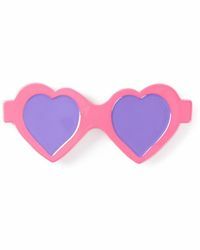 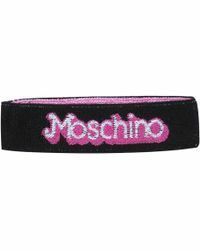 With Barbie-inspired sweat headbands and heart-shaped glasses as hair clips, Moschino's collection of hair accessories make for a bold and playful update to your look, with a carefree spirit and instantly recognisable logo.